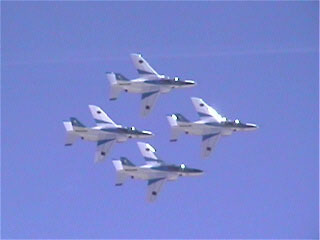 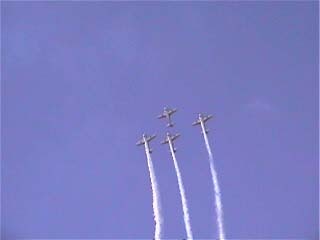 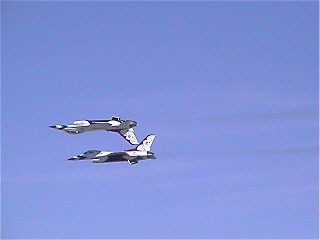 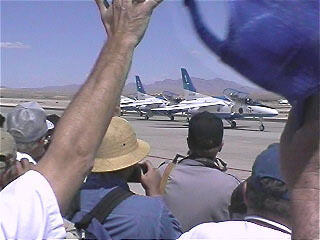 They have come to celebrate USAF 50 aniv. 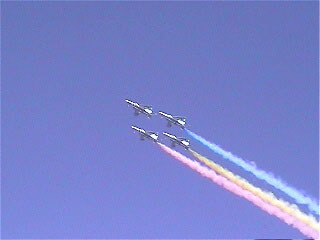 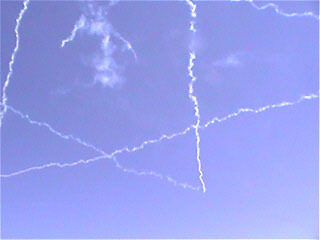 Blue Impulse draws a star in the sky. 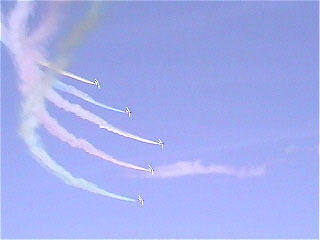 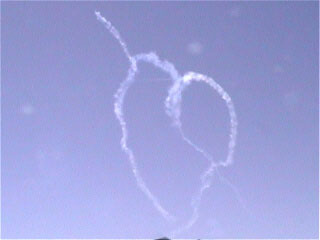 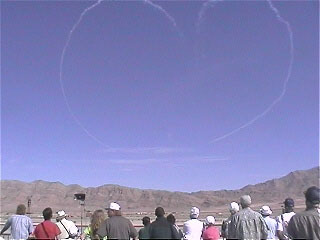 In the show, all team draw a heart mark in the sky. 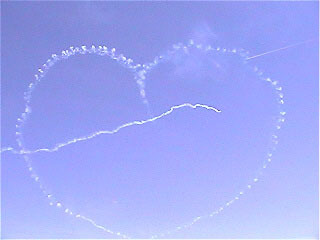 This is a heart mark by Blue Impulse. 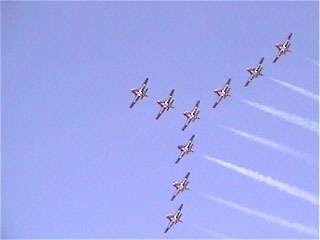 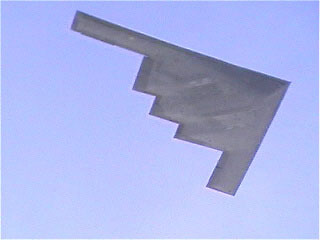 This is the thunder birds! 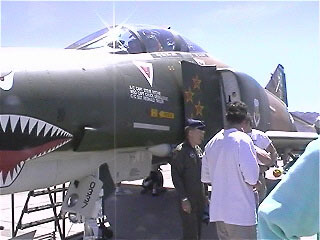 Vietnam war ace pilot, Steve Richie.